Britain's tortuous progress towards leaving the European Union presents an opportunity for South African poultry producers as post-Brexit trade deals are negotiated, according to not-for-profit movement FairPlay. FairPlay explains that there is also a threat of increased British chicken exports to South Africa if EU markets close to Britain in the event of a no-deal exit from the EU. As the deadline approaches for Britain to leave the European Union (EU) with or without an exit agreement with its former partners, South Africa is one of the countries with which Britain is seeking new direct trade relationships. The UK is South Africa’s second largest trading partner among the 28 EU countries. "In terms of draft schedules published by the UK, South African poultry would be subject to fairly high tariffs once Britain leaves the EU. However, negotiations are continuing, and this is where the opportunity lies," states the organisation. "South African jobs are at stake, particularly once longer-term negotiations get underway. The immediate issue is a bridging arrangement in terms of which existing trade arrangements with the UK will be extended for six months. This is necessary in case Britain crashes out of the EU on 29 March without an exit deal, and South Africa hopes to have it in place by 15 March. "That is to be followed by a roll-over agreement between SA and the UK, carrying over the existing trade arrangements with Britain while it is in the EU into a separate trade deal. By that time there should be more clarity on the terms of Britain’s EU exit. Whether or not changes or exceptions can be negotiated for the roll-over deal remain to be seen," FairPlay says. On March 12, the British Parliament overwhelmingly rejected - for a second time - a Brexit plan worked out by Prime Minister Theresa May.. Opening the doors for South Africa to export poultry to the UK could be a promising development after years of blocked access to EU markets. In theory, South African poultry producers have unlimited access to EU countries. As South Africa produces chicken cheaper than any EU country, the EU should be a huge export opportunity for South Africa. However technical restrictions have been used to protect EU producers from South African competition. According to FairPlay, a direct trade deal with the UK should enable increased poultry sales in Britain if fairer access can be negotiated. The block on South African exports is the application of what are known as sanitary and phytosanitary (SPS) measures. These are the intensive health inspections and certifications needed before poultry can enter EU markets. These regulations have been used to ensure that South African poultry is kept out of the EU because they would compete on price with every EU chicken producer. 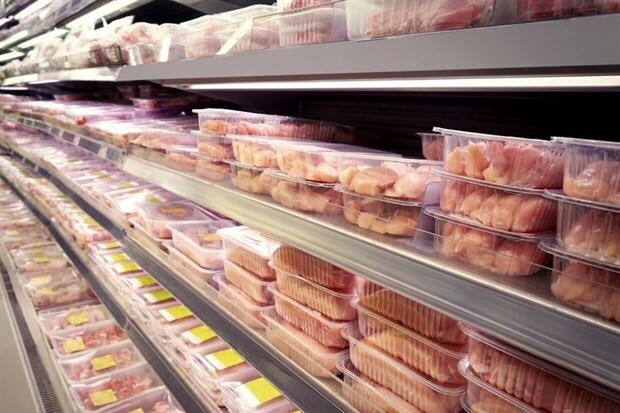 “South Africa should be looking to negotiate a deal with the UK to ensure that SPS measures are not unfairly used to keep our chicken out of UK shops,” says Francois Baird, founder of FairPlay. “That would give workers in our poultry industry something to celebrate – breast meat in particular sells at a premium and South Africa can supply this at competitive prices. On the other hand, South Africa may have to guard against a renewed flood of “dark meat” – mainly leg quarters, drumsticks and thighs which are popular in South Africa but are sold off below cost by northern-hemisphere producers because of the preference in their markets for white breast meat. A lot of the UK’s “dark meat” currently goes to EU markets. If Britain crashes out of the EU without a negotiated exit deal, these markets could close and UK producers would be looking for alternative export opportunities. Under an economic partnership agreement with the EU, South Africa is obliged to accept EU poultry free of duties. Ever-rising volumes of imports, particularly leg quarters, wrought havoc with the South African poultry industry until bird flu outbreaks halted most EU exports at the end of 2016. These restrictions are now being lifted a country-by-country basis. “South Africa needs to ensure that the UK does not simply take over the unrestricted duty-free access it has enjoyed as an EU member. These imports are job-killers. As part of a negotiated fair deal, UK exports of dark chicken meat should be limited or subject to an agreed quota,” Baird says.